Steelers linebacker Ryan Shazier demonstrates the team’s far-reaching popularity when he chooses a die-hard Pittsburgh fan living in Houston, Texas to have her ride tackled. When former Steeler and Super Bowl Champ LaMarr Woodley, lands in the lone star state with master car builder James Torrez, they meet the mega fan, learn more about her community work and her history as heart transplant recipient. From there the wheels are set in motion to transform her 2007 Saturn Ion she nicknamed "Brokemobile" into a baller ride that bleeds black and yellow. Super Bowl Champ LaMarr Woodley and Master Car Builder James Torrez hit the city of good neighbors – Buffalo, New York – to tackle an especially deserving fan’s ride. Their first stop is the New Era Field House, the sprawling indoor practice facility of the Buffalo Bills, where they meet up with 2-time Pro Bowl quarterback Tyrod Taylor. Tyrod tells them the incredible story of 14-year Army vet and Bills superfan Kevin Miller who, despite losing a leg while serving in Afghanistan, devotes his life to helping and healing returning vets. Kevin’s dedication to service and tireless spirit inspires James to transform his 2014 F-150 into the ultimate symbol of the Bills Battalion. LaMarr and James are in San Francisco to tackle 49ers super fan Barbara Ramirez’ last legs sedan. At Levi’s Stadium – atop its environmentally friendly green roof – they meet up with 49ers Pro Bowl linebacker Navorro Bowman. He tells them all they need to know about Barbara’s selfless charity work for underprivileged kids with big football dreams. James and his boys convert a rundown ride plagued by leaky windows, a mildewed interior and creaky shocks into a sparkling, smooth-running shout-out to 49er pride. On this episode, one of the hardest working teams in the NFL, the Chicago Bears, choose a worthy fan to have his ride tackled. Super Bowl Champ LaMarr Woodley, and car restoration master James Torrez, touchdown in the Windy City to visit the home of Kyle Long. The offensive lineman reveals the mega fan’s charitable work, and the rusty truck he uses to serve his community. The groundwork is set to turn his 99’ Ford Sport Trac into the ultimate tailgating truck, and give the super fan the surprise of a lifetime. The Washington Redskins choose a super fan since childhood to have his ride tackled. Super Bowl Champ LaMarr Woodley, and car restoration extraordinaire James Torrez, march into Washington D.C. to meet Ryan Kerrigan. The Pro Bowl outside linebacker tells the guys about the super fan’s charitable work he does through the legendary tailgates he hosts before each home game, and the rundown van he uses to transport his gear to and from the stadium. Now the stage is set to turn his ’05 Ford E-250 from a tailgating van into a tailgating tank, and change this fan’s life forever. The team visits Atlanta, home of the mighty Falcons and Lamar Scott, a charter member of the Professional Football Ultimate Fan Association. Lamar dedicates his time and talents to supporting the Georgia Special Olympics, Toys for Tots, and a host of other charitable endeavors. When Tackle My Ride asked Vic Beasley to identify a fan who symbolizes the spirit of giving back and helping others, Lamar was the overwhelming choice. With an SUV that has been in service for 16 years with over 200,000 miles, Lamar’s ride is ripe for tackling…and James and his boys don’t disappoint. LaMarr Woodley and master car builder James Torrez's attempt to transform a Cleveland Browns fan's Ford Expedition into a dream ride is nearly derailed by technical challenges, but they try to pull through - inspired by the example of the beloved Dawg Pound. Featuring Browns cornerback Joe Haden. Host LaMarr Woodley and master car builder James Torrez jet off to Seattle to rebuild somehow transform a fan's '92 Dodge Dually into the ultimate Seahawk truck. Featuring Seahawks defensive end Cliff Avril. While in Minnesota, LaMarr Woodley and James visit an exotic car dealership, then get to work on transforming a fan's Chevy Cavalier into a purple & gold dream. Featuring Vikings tight end Kyle Rudolph. LaMarr and James aim to fix up a youth basketball coach and Giants superfan's Honda Odyssey into Big Blue perfection. Featuring Giants defensive end Jason Pierre-Paul. There's a big transformation in the Big Easy, as LaMarr and James go down to New Orleans. This being New Orleans, some unexpected complications spice up the rebuild, but the crew stays focus on one goal: helping a devoted fan drive to see the Saints go marching in, in style. LaMarr and James head to Dallas for a big rebuild for a memorable Cowboys fan. The crew wonders if they can salvage the ride with a restoration that shines like the iconic star on the Cowboys' helmet for a fan who never stops believing. Featuring Dallas Cowboys stars Brandon Carr, Dak Prescott and Ezekiel Elliott. Stars of 'Tackle My Ride' explain what it means to them to be able to surprise fans with their dream rides. James Torrez explains how his car restoration shop, Demented Customs, got its name. Watch fans react as they find out their current rides will be transformed into the ultimate cars. 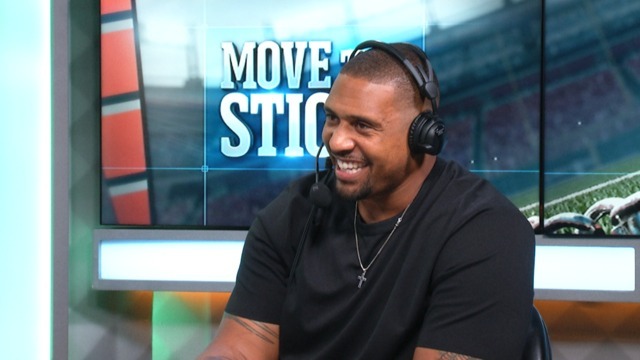 Tackle My Ride star and former Pittsburgh Steeler LaMarr Woodley joined Daniel Jeremiah and Bucky Brooks to talk about his new show, scouting players and more. Would LaMarr Woodley rather face Tony Romo or Dak Prescott? 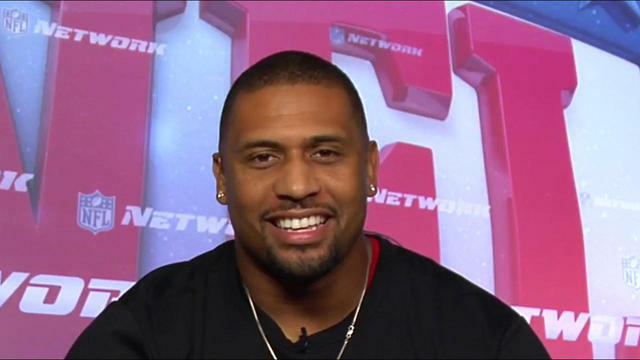 LaMarr Woodley joins Up to the Minute to talk about his new show Tackle My Ride, the Pittsburgh Steelers defense, and the quarterback situation in Dallas. 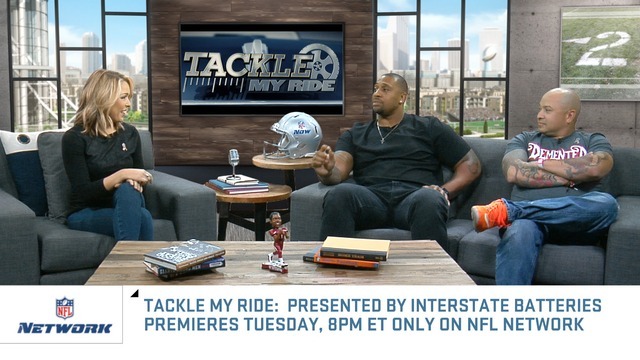 LaMarr Woodley and James Torrez give a sneak preview of Tackle My Ride and discuss the impact of the show with NFL NOW's Colleen Wolfe.